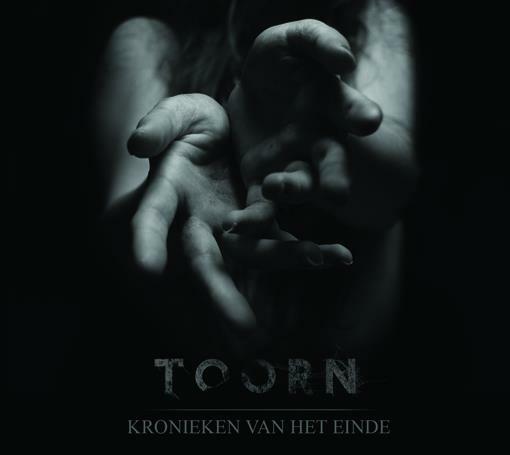 Kronieken van het Einde ('Chronicles of the End') is the sophomore self-released album from Belgian musician Gorik van Droogenbroeck (aka Cerulean), who has been involved with a number of other related projects like Kludde or Trancelike Void (live), but had put together Toorn ('Wrath') to employ his black and doom metal influences into massive, expressive structures that were surely prevalent on his 2009 debut Galgenberg. That album was beyond tight, and frankly I'm a bit disappointed that more people didn't take notice of it, because it put a mildly folkish spin on the downtrodden, sorrowful terrain ploughed by Katatonia through the 90s, or the first two Agalloch records (think Brave Murder Day filtered through The Mantle). For those who missed out, through, here's yet another chance to get acquainted, and an album that rivals its predecessor in terms of professionalism, while dialing back some of the swollen song lengths of the debut (though he still ekes out a few 10+ epics here). Melody is the law within these pieces, and van Droogenbroeck certainly has a knack for stringing along both graceful and depressing note progressions that capture the restless momentum of some bleak afternoon of pregnant gray clouds and ceaseless, cold precipitation. Clean, ringing tones are incorporated not only to spice up the central rhythm guitars with an effect not unlike that of Amorphis' Tuonela, but also built into their own mesmerizing monoliths of sadness like "Zomerzonnewende" or the brief "Hiaat". Granted, many of the basic chord patterns used to fuel the momentum of these tracks will prove relatively familiar to those for whom melodic doom is the daily bread and butter, and some degree of dragged on repetition is inherent to the style, but the effect is still quite emotionally poignant, especially since Gorik has really mixed up the track listing so that the larger centerpieces ("Omen", "Carpe Omnia") are broken up by shorter ones. The bass is quite fluid and melodic through the record, especially in pieces like "Verloren", and I was rather impressed by its ability not to be entirely overshadowed by the melodies. The beats rarely do more than one would expect of these rhythmic configurations, but the snare and kick sound firm without becoming intrusive, even when elevated to near blast levels during the surges of "Carpe Omnia". Vocally, you're getting a long, guttural drawl that hovers over the expansiveness of the guitars, occasionally tied off in more of a rasp, which when paired with the more dissonant rhythm patterns, definitely creates an eerier, haunting black metal vibe which is also crucial in breaking up the mournful glimmer of the melodies. Still, I must admit I wouldn't mind Toorn moving further in this direction, to a more nightmarish area that he offers only hints of here. It seemed as if Galgenberg was slightly more intense and harrowing. Kronieken van het Einde creates this 'sailing' quality to it through numbers like "Solitaire" and "Verloren", and I enjoy the segues that create a progressive/folk quality to most of the longer tunes, but there remains plenty of contrasted emotional space for the music to explore. For one mind crafting and over an hour of music, though, I will say that there are very few points at which the material becomes vapid or exhausting, and it's definitely built of peaks and valleys, climaxes and anticlimaxes which keep the content from wearing out its welcome. All told, I can't see any reason fans of the first album wouldn't like this, because the riffing is often pretty close in nature; also recommended to fans of Katatonia, Daylight Dies, Novembre, Insomnium, or heavily melodic, mid-paced black metal with decent production values.